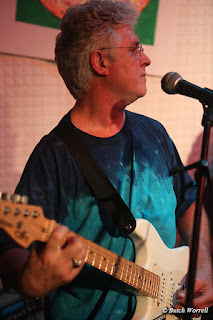 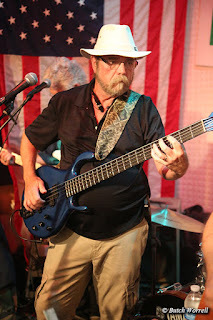 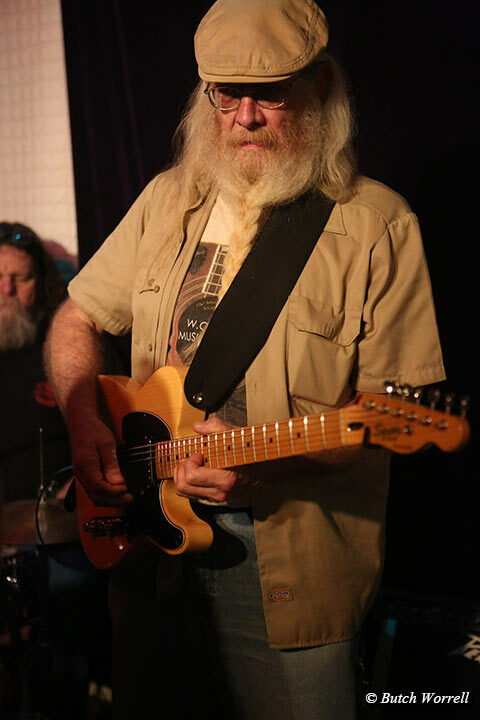 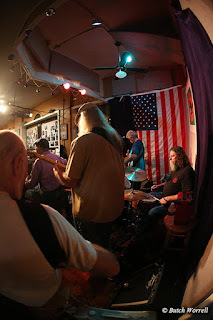 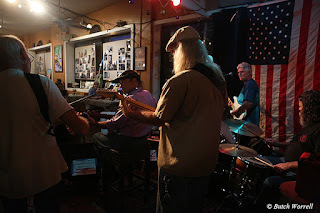 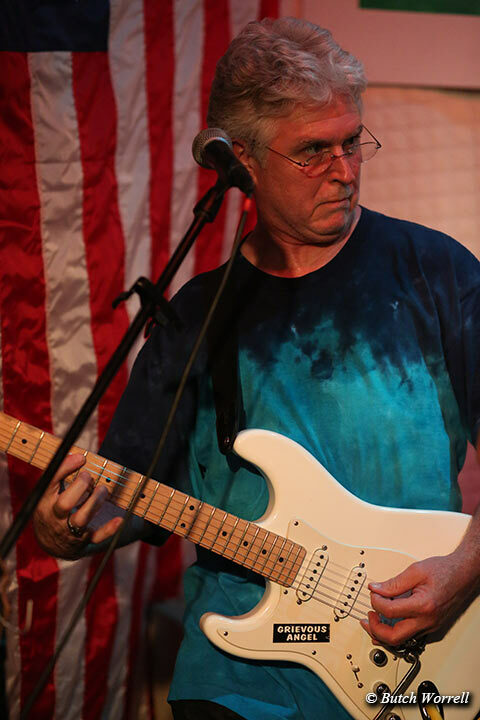 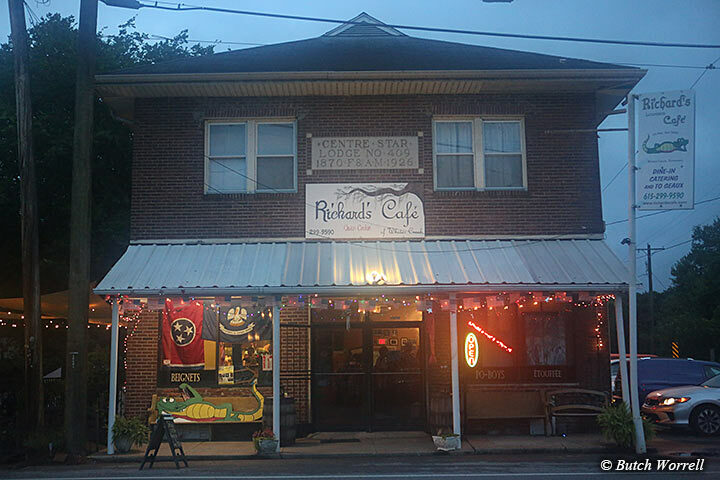 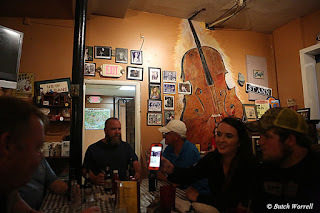 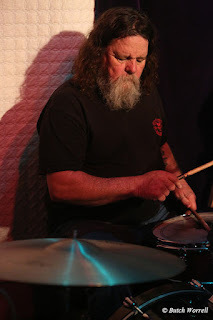 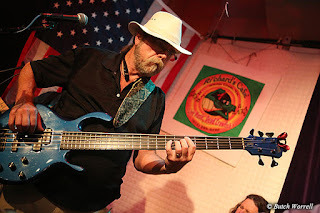 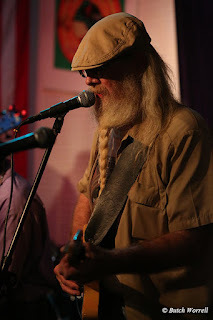 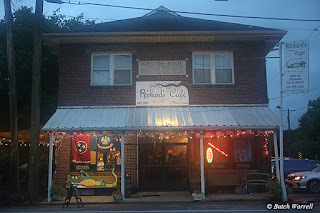 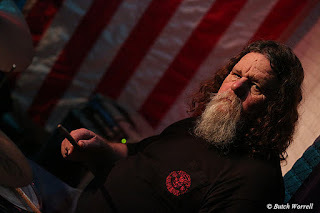 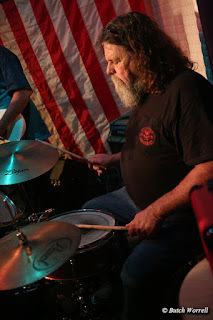 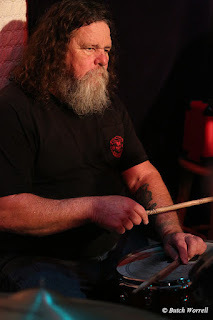 Saturday night and still raining in White's Creek, Tennessee.....In Richard's Cafe though, the Geezer Glides Band with Mississippi Millie were driving the rainy day blues away. 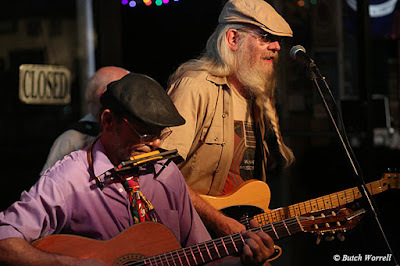 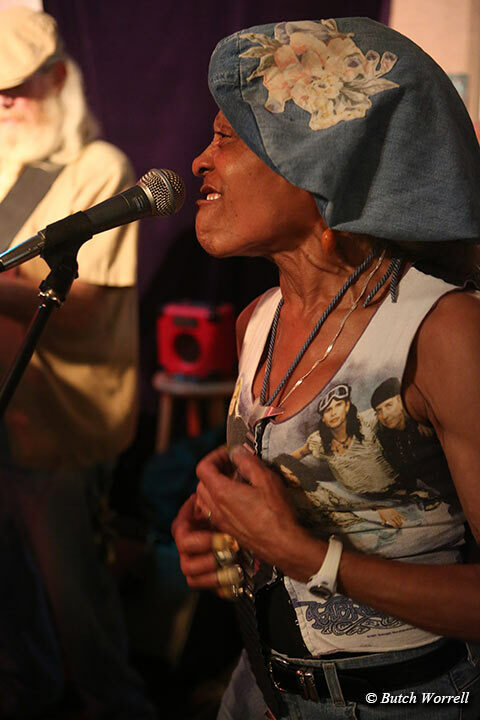 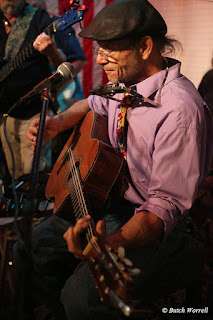 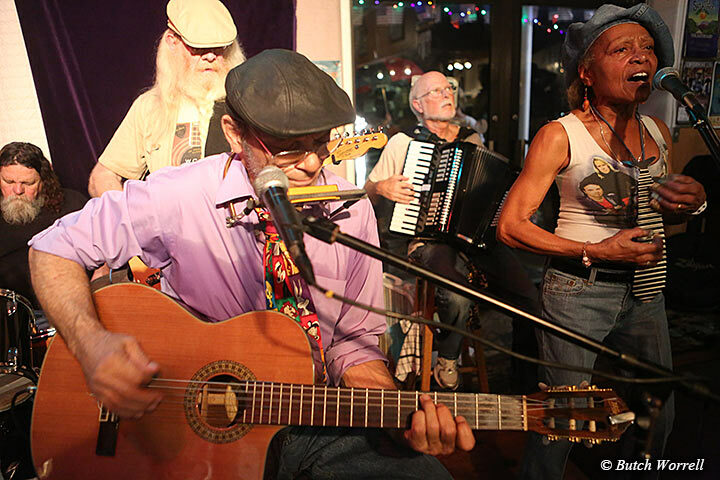 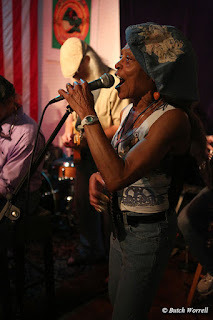 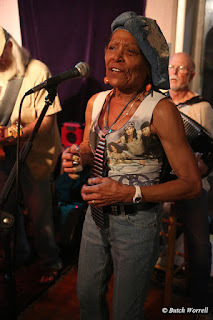 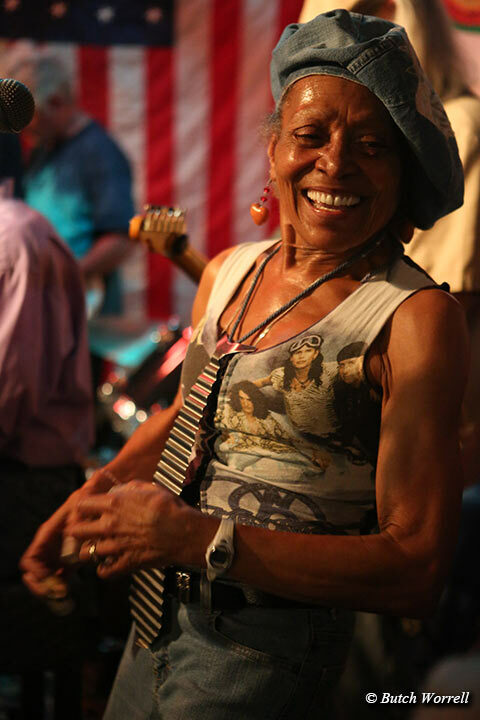 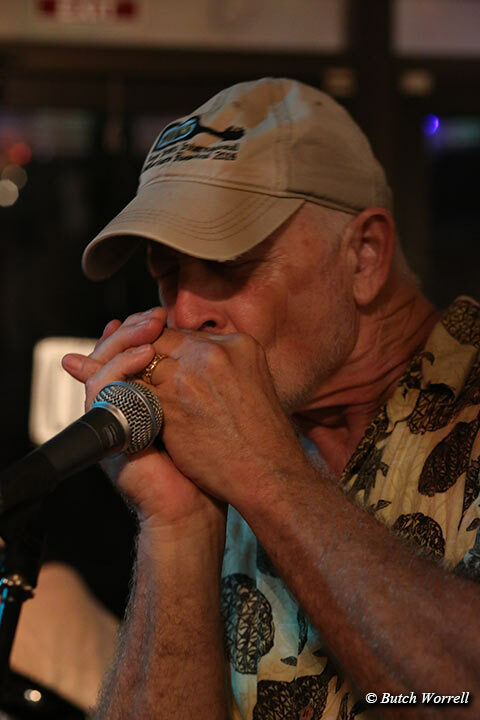 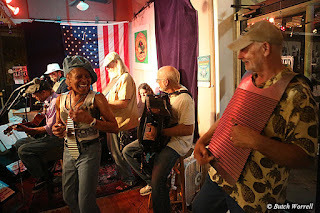 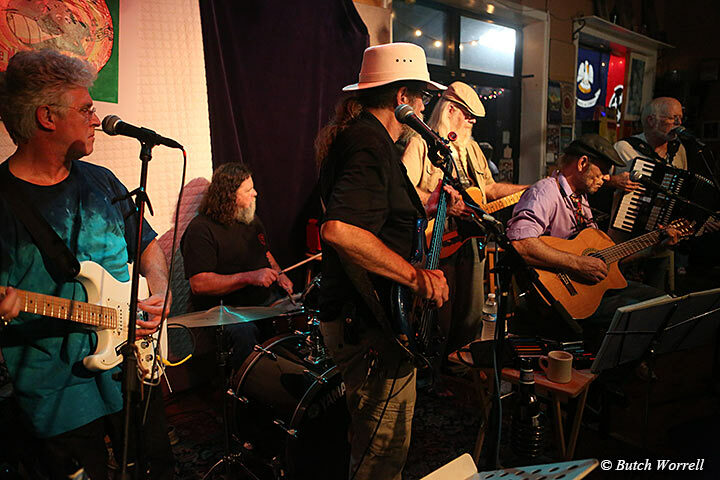 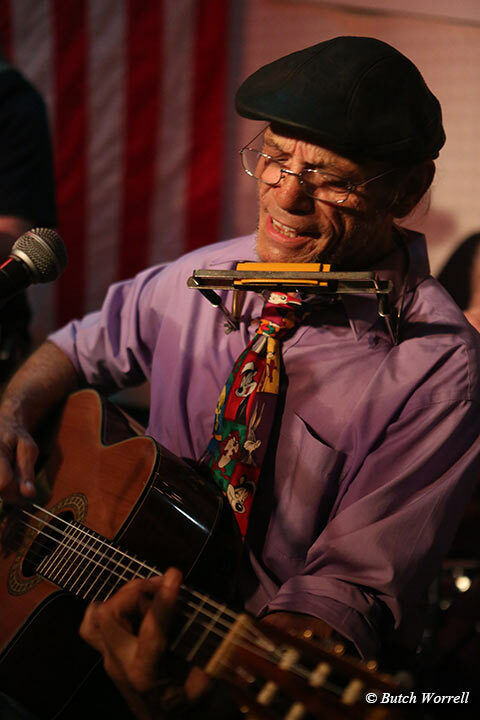 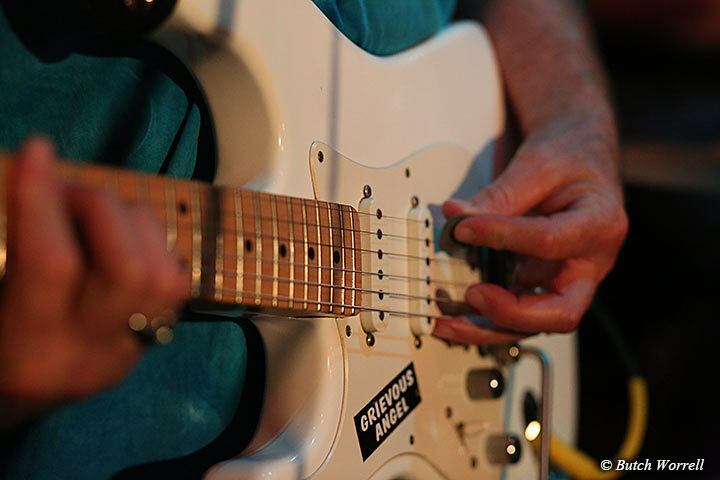 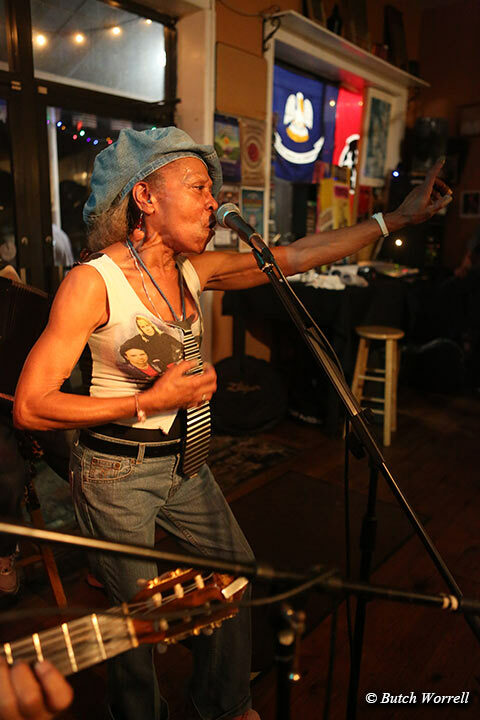 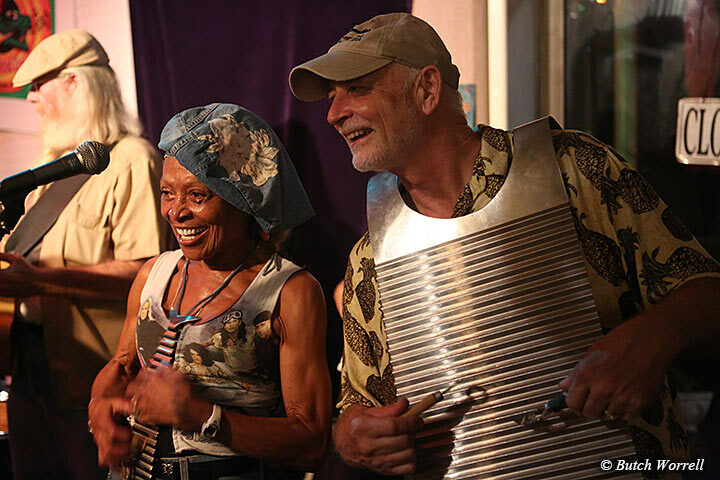 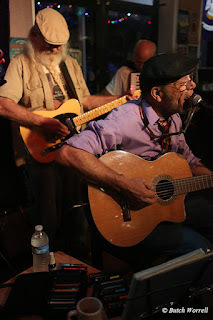 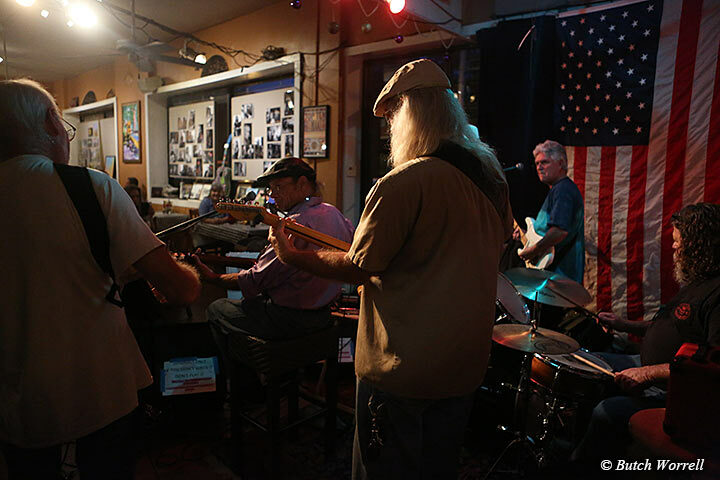 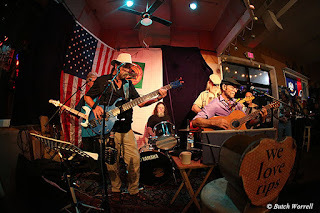 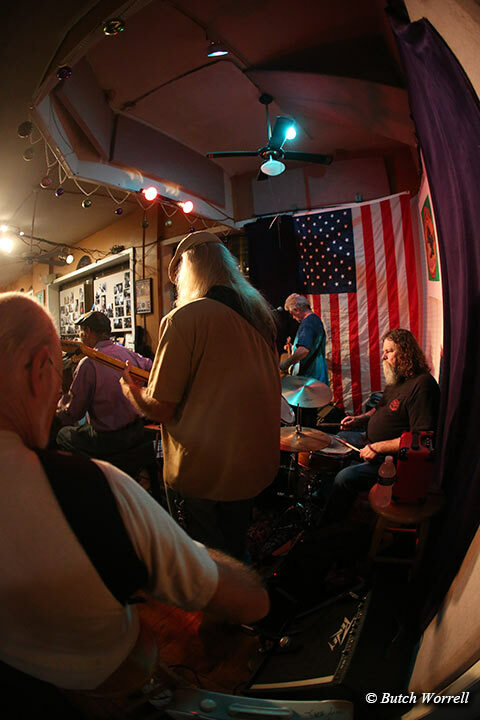 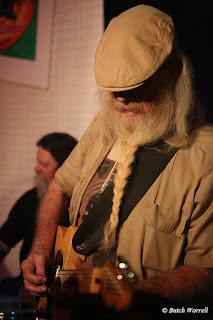 With their own unique blend of rock, blues, and country, the addition of Mississippi Millie's classic Delta blues style seemed just exactly perfect. 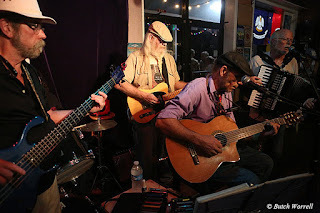 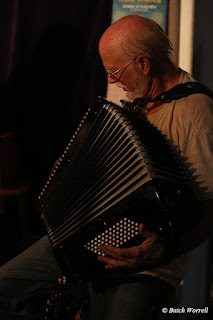 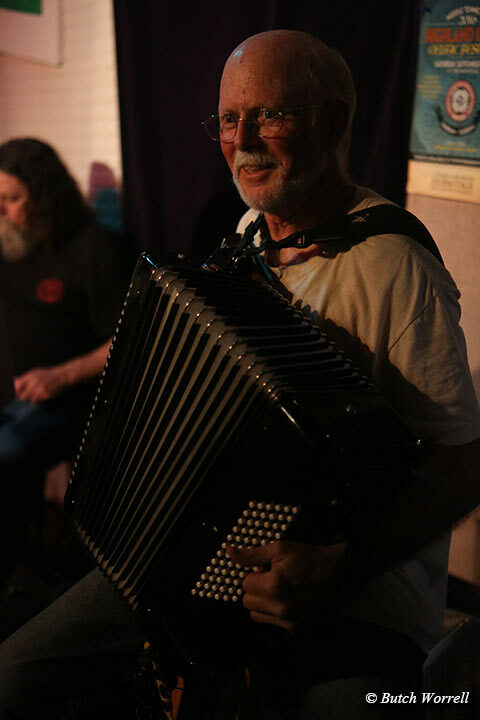 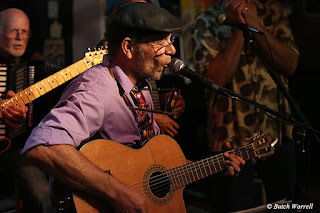 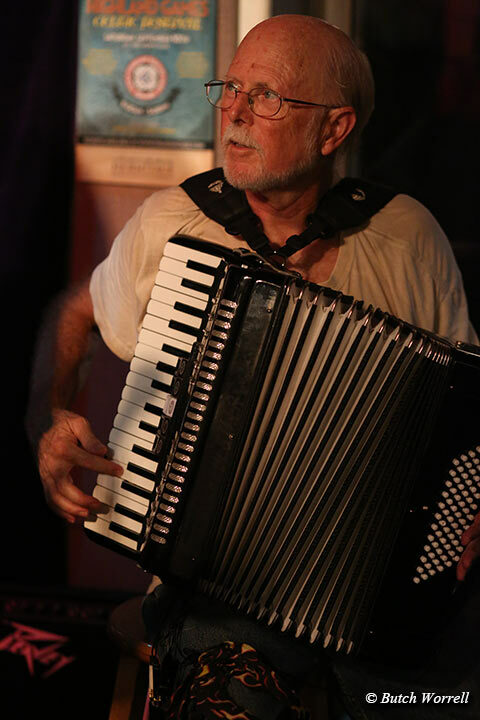 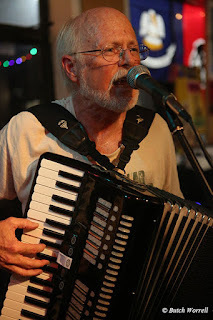 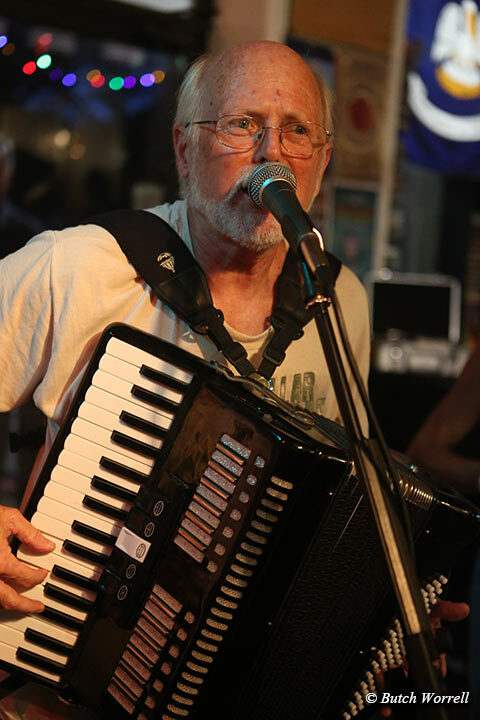 The band founded and led by drummer Herb Bennett and featuring front-man Bobby Pizazz, also includes Donald Dixon (guitar/vocals), Jay Jernigan (guitar/vocals), Shawn Fox (bass/vocals), Jamey Ratzlaff (keyboards/accordion/vocals). Named after a nickname for a full dressed Harley cruiser this band can rock n roll with the best. 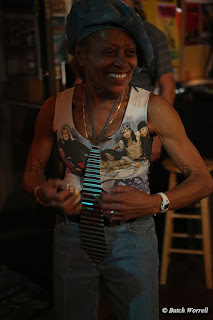 And if anyone wondered if Mississippi Millie has still got “it”' all they had to do was hear her last night, belting out the blues. A special favorite was her and Bobby Pizazz dueting on the classic “Summertime”. 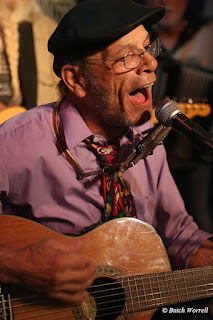 And as usual, Richard Trest, owner of the cafe, sat in on a few songs. 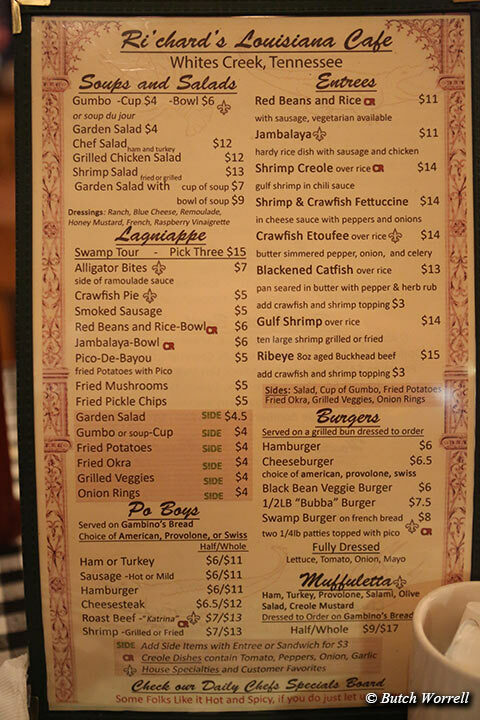 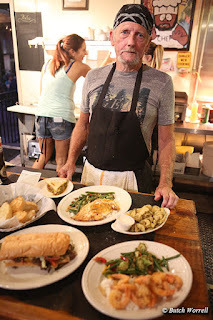 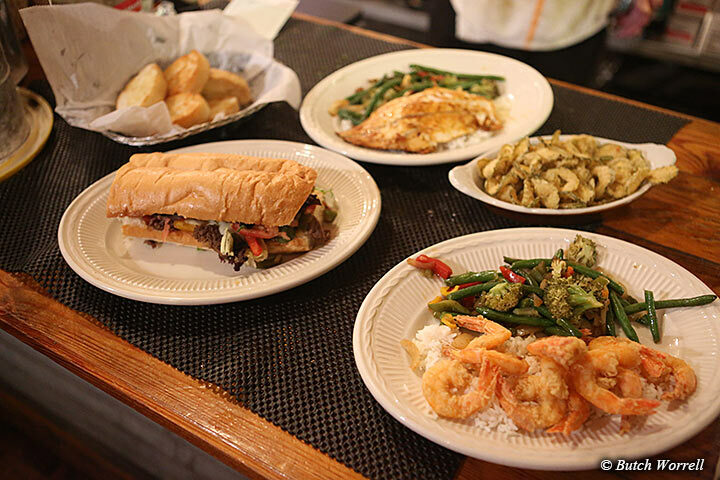 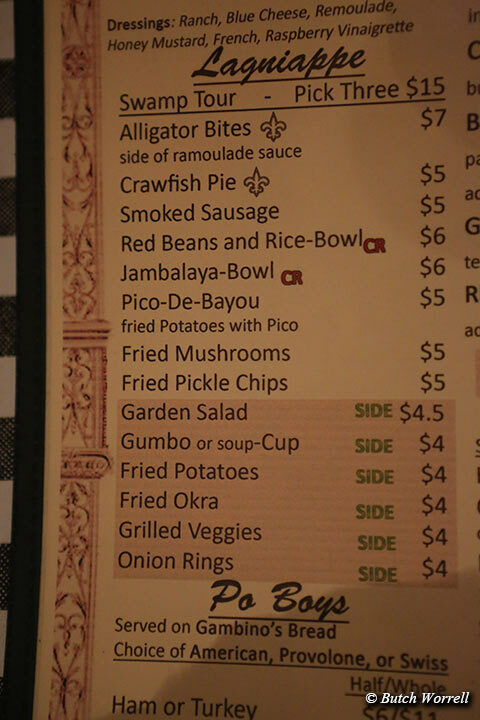 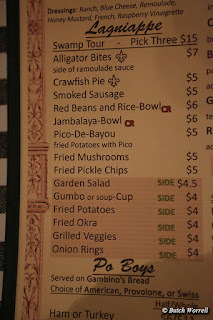 And Richards cafe.....with a Louisiana ambiance it is the real deal for classic Cajun fare. 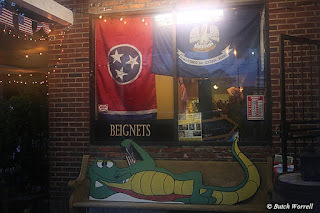 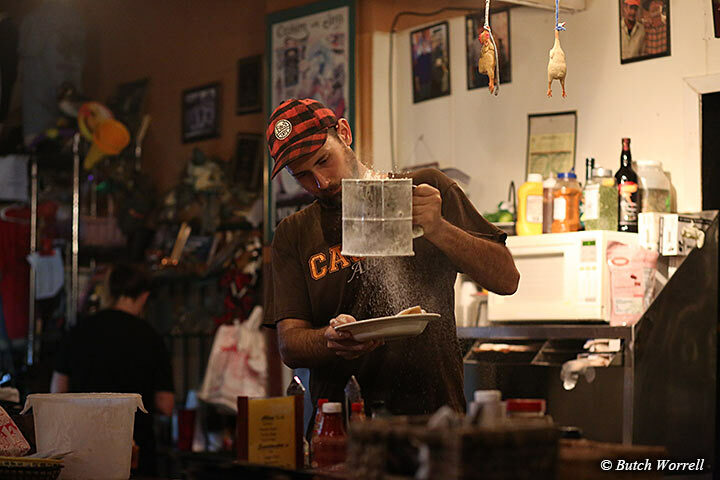 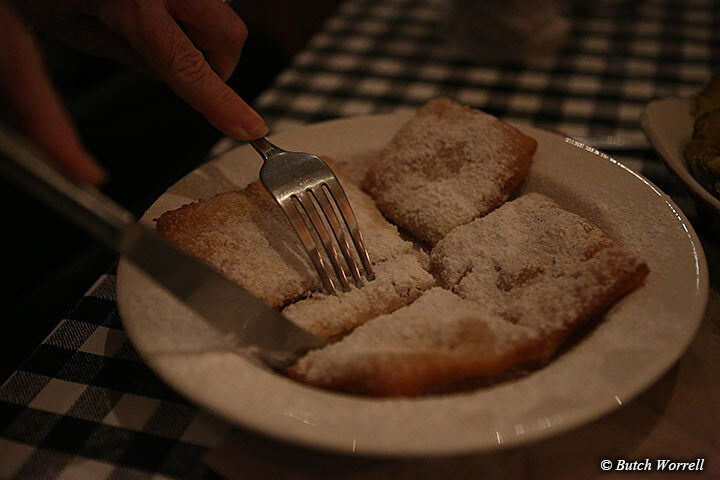 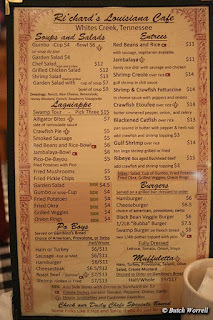 All the offerings are excellent and if you ever desire classic Beignets, don't bother making the trip to New Orleans, just head to Richard's Cafe, where you will probably hear some great live music too.